Have you ever seen a more perfect red? No? Neither have I! 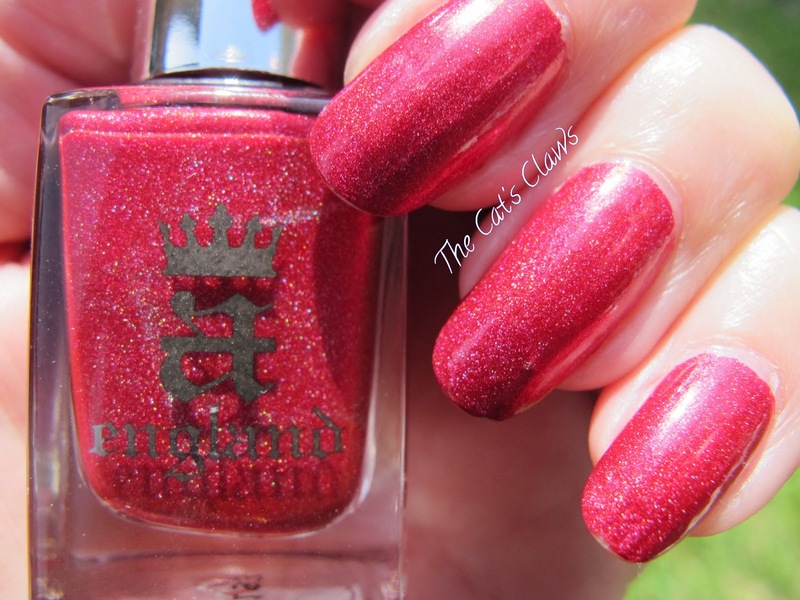 So which red are we talking about, well its A England Rose Bower, the most gorgeous pinky red holographic polish I own. As we are unable to get A England here in Australia at the moment I made an order with Llarowe for the whole Burne-Jones Dream Collection. 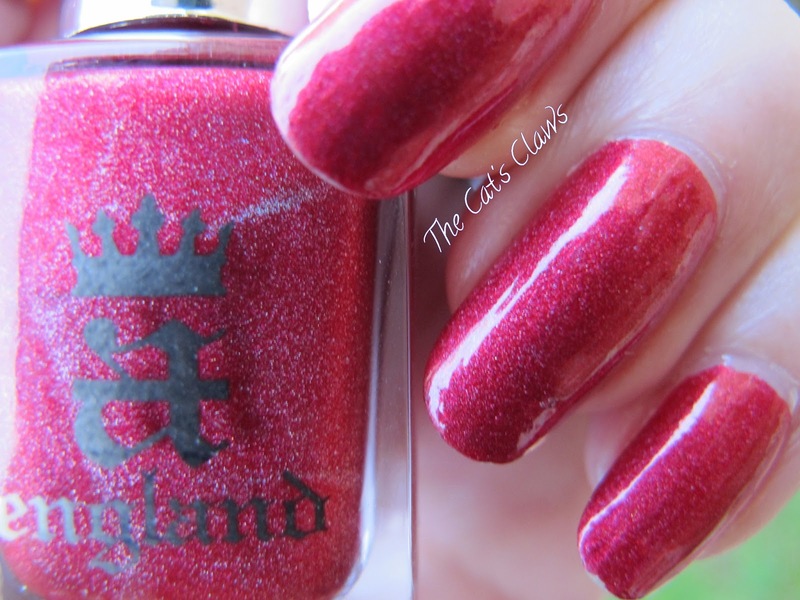 But I do have good news for Australian buyers the lovely Sophie from Femme Fatale Cosmetics will soon be stocking A England. Hooray! A England polishes are just so gorgeous and apply perfectly. On to my mani then two perfect coats of A England Rose Bower followed by a Seche Vite top coat which did nothing to dull the absolute brilliance of Rose Bower!